AlNiCo Bar Magnets are the popular shape AlNiCo magnets. 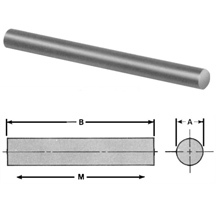 We provide AlNiCo Bar Magnets for various applications. Alnico is an acronym regarding an own family of iron alloys which in addition to iron are composed basically of aluminum (Al), nickel (Ni) and cobalt (Co), subsequently al-ni-co. additionally, they encompass copper, and on occasion of titanium. Alnico alloys are ferromagnetic, with a high coercivity (resistance to loss of magnetism) and are used to make permanent magnets. earlier than the improvement of rare-earth magnets within the Nineteen Seventies, they have been the strongest kind of everlasting magnet. other alternate names for alloys in this own family are: Alni, Alcomax, Hycomax, Columax, and Ticonal. The composition of alnico alloys is typically eight–12% Al, 15–26% Ni, 5–24% Co, up to six% Cu, up to 1% Ti, and the balance is Fe. The improvement of alnico commenced in 1931, while T. Mishima in Japan discovered that an alloy of iron, nickel, and aluminum had a coercivity of four hundred oersteds (Oe; zero.07957 kA/m), double that of the first-class magnet steels of the time. 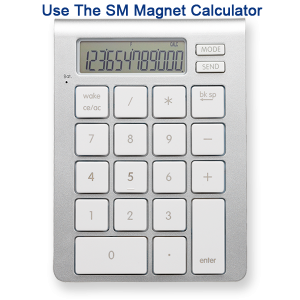 We can also produce magnets to custom specifications by request. Alnico magnets are ideal for corrosive and high heat applications up to 930°F (500°C). Alnico magnets commonly used for various types of sensors. The Alnico Horseshoe Magnet has two magnetic poles close together. Ideal for school experiments and it makes a great gift. Includes a keeper to help retain magnetic power.